It is no secret that UV sun light is the number one cause for skin cancer. We are born with a nice skin and during our life due to sun exposure we develop skin diseases. Skin cancer can develop in our skin cells for 20-30 years before it erupts. This means many people have skin changes occurring right now in their skin cells and they will know it within 10 years or less. If you underestimate the changes the sun can cause your skin layers, than you should watch this short and amazing clip. It was taken by a UV camera. It shows how the skin looks though UV light. People with “perfect skin” suddenly see the epidermis freckles and sun spots before they show up on the outer layers. Most of the people in the clip are young, beautiful with nice glowing skin, until the UV perspective is viewed. Applying a layer of sunscreen everyday, can reduce the long term effects the sun cause to the skin. Note that you need a wide spectrum sun lotion, which can block UVA and UVB. UVA are long ultraviolet rays which penetrate deeper, and cause aging of the skin. UVB are shorter ultraviolet rays which mainly cause damage to the outer layers and cause skin burns. In this clip the effectiveness of the sun blocking creams are seen as they blacken the skin where applied. The same effects as you saw in the clip occur not only to facial skin, it happens to your arms, chest, abdominal and back. Our whole body is exposed to the sun everyday for as long as you live. The face is only a small part of our skin. The best solution is to wear clothes with high UV protection levels. These are regular clothes which are made using new technologies that increase their ability to filter UV by 98%! 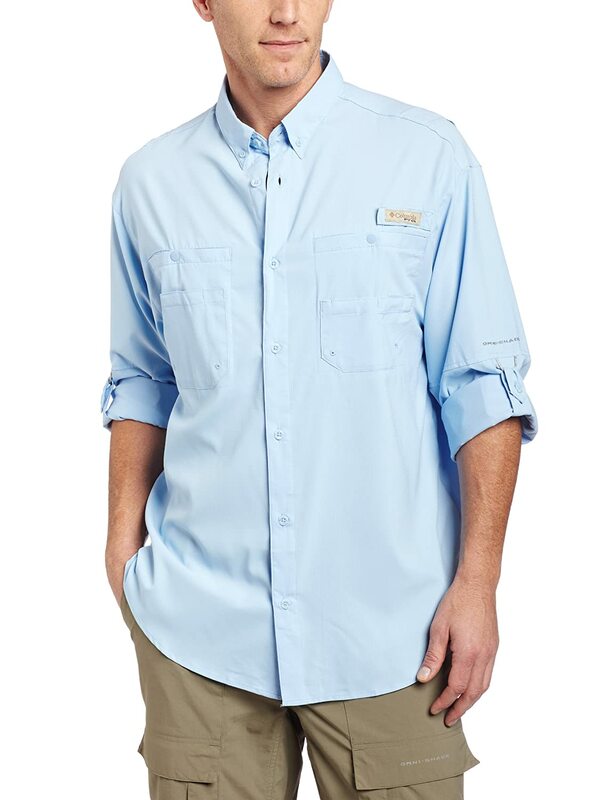 For example this shirt by Columbia Men’s apparel can block 99% of the incoming UV which means the whole upper body is protected. Women who are not yet worried about skin aging should consider UV protective clothes also. The UVA penetrating the skin is causing long term damage to the collagen, which is in charge of the skin elasticity. Without it the skin may look dull, dry and fallen. 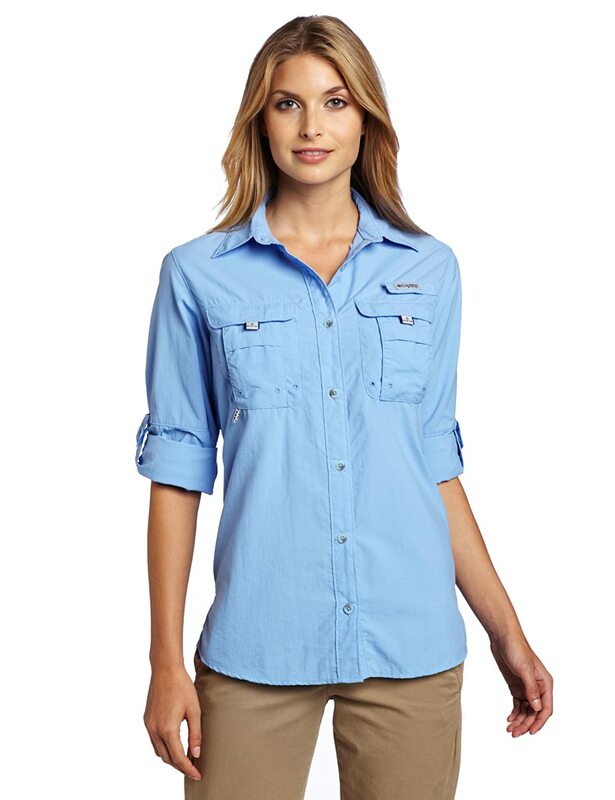 There are plenty of women UV blocking shirts and pants, in fact there are thousands of items in endless colors and designs. One of the solutions women buy are UV protective wraps, these are colorful wraps which can be worn over any other wardrobe you have. They can block 99% of the UV from reaching your upper body. Now that you have seen how the sun sees your skin, it is time to take action, and protect yourself from long term UV damage. This entry was posted in Anti Aging, UV Protective Accessories, UV Skin Damage and tagged Avoid UV Cancer Risks, Best UV Sunscreen Lotion, Sunscreen To Prevent Skin Cancer, Tips To Avoid Skin Cancer, UVA Sun Block Creams by UPF Clothing Admin. Bookmark the permalink.